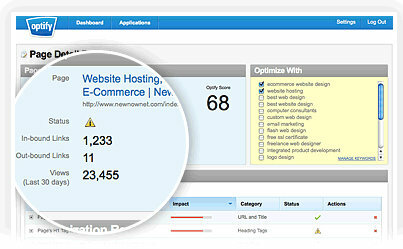 OptifySEO is a company with a proven track record of helping customers generate more leads, improve their marketing, and track their results. One of their primary focuses is on SEO. Their SEO software is not very well known among industry experts, but the concept is quite interesting. 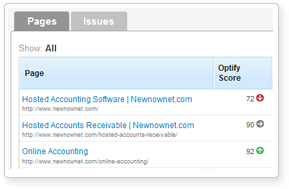 OptifySEO’s software provides a great many useful features. One of the best is the ability to have each of your website’s pages assigned a score based on its current search engine effectiveness. This lets you know instantly where you need to focus your efforts. OptifySEO can show you the number of inbound links each page has, and it can recommend new keywords that you can focus on. They also provide checklists so that you can reduce the degree of human error. – Due to the sophistication of the software, there may be a learning curve before you can master all the tools. Usability of the tool is quite complicated. – SEO Optimization largely depends on inbound links, especially deeplinks and current rankings. All this stuff is currently not taking into consideration. 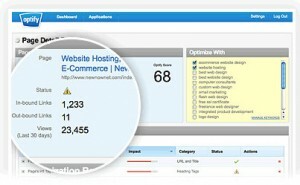 Overall, OptifySEO has a good value for people, who like to dig into software. Although its sophistication and the detailed analysis it provides can be overwhelming at first, it is worth it to sort through them. There is no doubt that you will need some time to understand the tool and value of it. OptifySEO can be recommended for beginners and users with basic knowledge of SEO.